my dance studio's recital this year is circus themed, so when we heard that the ringling bros. and barnum & bailey circus was coming to our town we just had to go see it. 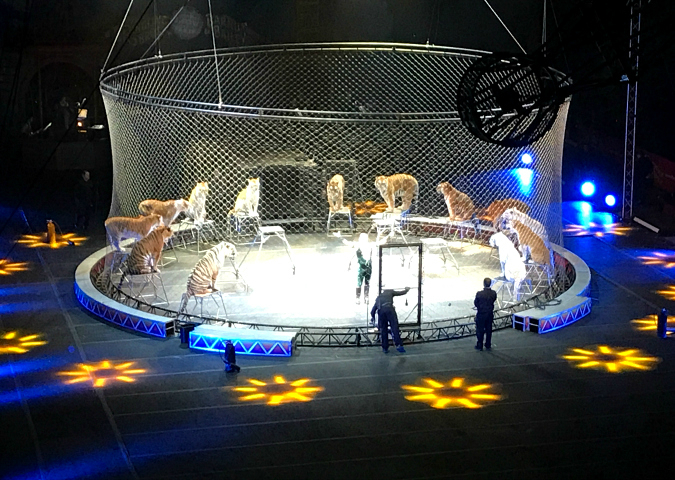 we got together a group of 27 students and parents from our dance studio and enjoyed a friday night out at the circus. 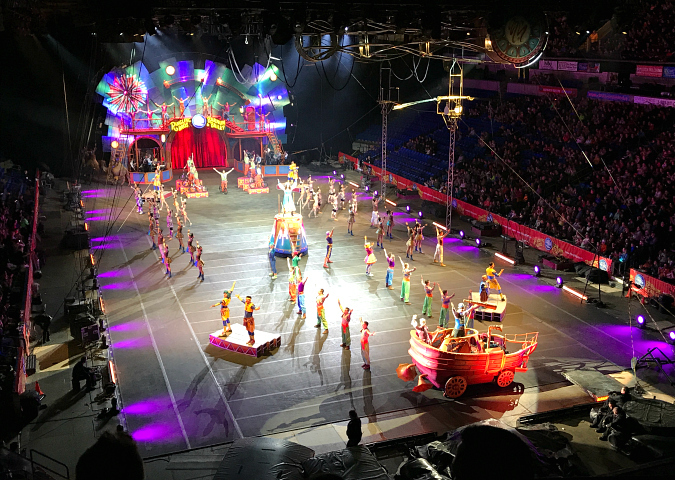 after 146 years in the business, in may the ringling bros. and barnum & bailey circus will close for good. it will be the end of an era for sure, so we're glad we got to see them one last time before they close. we had great seats and loved all of the acts in the 2 hour show. everything was so colorful and there was something happening everywhere you looked. (it was also neat to see the ringling bros. and barnum & bailey's first ever female ringmaster!) it has been years since i've seen a circus, and ryan has never seen a circus, so it was a really fun outing. all of our dance students loved it too. i didn't take many photos, but i did snap these two on my phone. i was so engrossed in the show the entire time, i forgot to take pictures. my favorite acts were the tightrope walkers and the trapeze artists! Looks like a great show. I am glad you had a chance to see it before it is completely closed. That ends an era. Very colorful! Those big cats are beautiful.